Tom and Sanford & Son-esque Designated Driver Terry Kimmel talk to Drawn & Quarterly writer/artist Dylan Horrocks about New Zealand, weather patterns, the importance of escaping Buffalo and the tenth percentile of great comics in the industry versus Image publishing. The show will be up by dawn Friday for subscription via ‘the iTunes’. Pledge your allegiance and your soul to Big Words Radio on Apple iTunes. Download in bulk and rate high! Join me next month for uber-talented Lockport author Mark McElligott! April 1st, 2011 will be here before we know it. A lot of projects are in the planning stages currently and it’s more a matter of juggling and strategy than inspiration and execution. 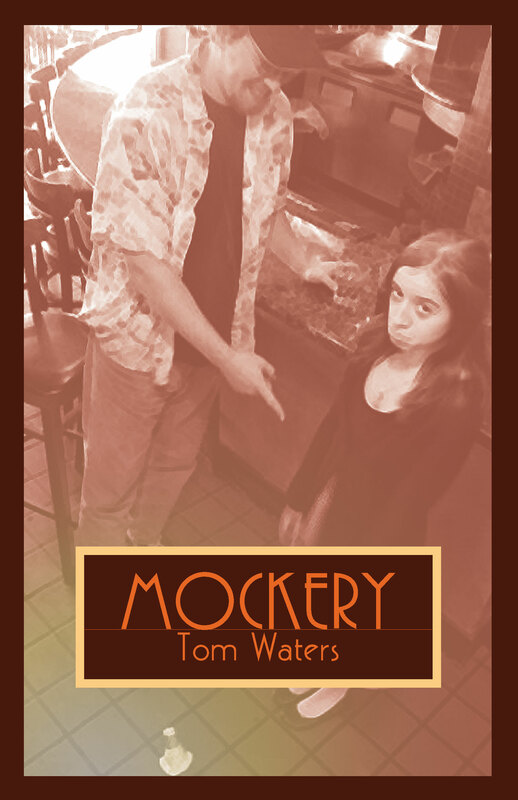 Book 9 (Mockery) is in the last legs of pre-production and designer Eve Barbour and I are aiming for a hard April launch. I’ve always been fond of doing book launches on April Fool’s Day (which falls on a Friday this year), so don’t be surprised if you hear about a large public event and bookstore insertion then. At $15, it’s the lowest launch price of any rant collection I’ve ever released, so I’ll be shooting for volume rather than profit margin. After that, Mark McElligott and I will be going into pre-production on his book, Random Thoughts From A Broken Mind while we schedule appearance dates at the same time. We’re looking at a summer release date for his book around the same price point. While Mark’s never published a book before, he’s got a diverse back ground in music, cartooning and stand-up comedy that should translate well on stage once he gets up and running. As for the radio show, Eisner and Harvey award winner Dylan Horrocks (Hicksville) will be talking to me and co-host Terry Kimmel on Thursday, February 24th. Mark McElligott returns as my guest in March and in April I’ll be discussing the hilarious and often controversial books of Mark Kalesniko (Alex, Mail Order Bride). After agonizing over how and when to release the autobiography (Icarus On The Mend), I’m leaning towards publishing a limited print run of 100 hardcover first editions in 2012 for around $29.95 with no complimentary copies for the local or national media included. Everyone who knows about the book wants to get their hands on it right away, so I might as well give you all what you want. Once those hundred are gone, I’ll release two volumes of trade paperbacks for $15 each with complementing photo negative covers and possibly an additional chapter. As for the third poetry collection (Poke The Scorpion With A Sharp Stick), I’m not sure how to gauge demand for the book, so don’t be surprised if it’s released alongside one of the autobiography print runs. While both Breathing Rooms reached (and exceeded) the 100 copy mark, they’re more a labor of love than a concerted business decision. Poetry is a tough sell in any market, so I was glad to net over $2000 on the first two in the first year. The third collection will be the last for a long time, so hopefully readers will enjoy the aftermath to Breathing Room by realizing that the content is new and unusual, not just scraps left over from the first two books. I’ve never had this much material on the slate before at any one time. Hopefully by 2013 I can buy back the rights to Born Pissed and Zany Hijinx, relaunch them with better cover designs, tighter editing and a lower price point. If there’s one single piece of advice I can offer budding writers, it’s this: Don’t publish with America House. There’s no reason why you should give 90% of your royalties away to a publisher for a manuscript that you put 100% of your effort and inspiration into. It’s a bittersweet situation to be in. I’ve got three years before I have to write another word. I’m considering writing a novel, but for the time being I’m going to rest and relax since this is the calm before the promotional storm. Thank you for reading and supporting my work. People often ask me ‘Do you make any money off of your books?’ and my answer is always that I wouldn’t keep putting them out if I didn’t. From a fiscal standpoint, 2011 is going to be a great year to make money while making people laugh at the same time. You are currently browsing the big words i know by heart blog archives for February, 2011.